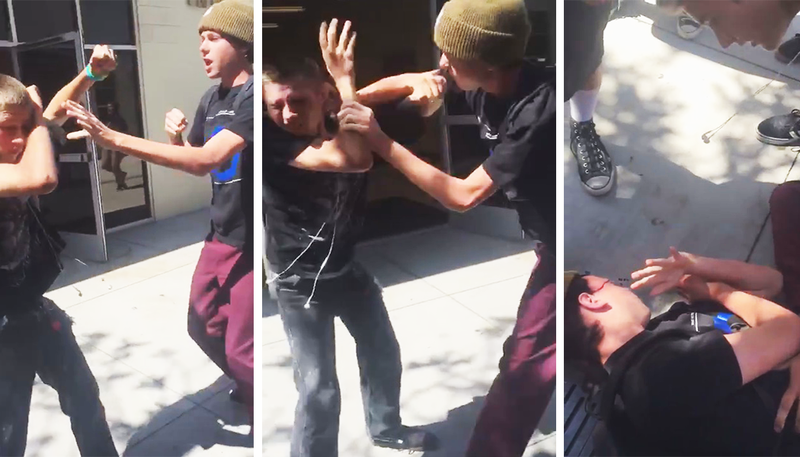 [VIDEO] Bully Punches Defenseless Blind Kid. What Happens Next Is Well Justified. In most cases of bullying its due to being bullied or abused yourself. Occasionally there are just evil sociopaths that have no regard for someones well being, but when you stoop to the level of picking on someone who can’t even see you to defend themselves, I don’t care which variety you are, you are a coward and deserve to get your a** kicked.